Compact and reliable with superior cost-performance. DDS (4mm) are the ideal solution to high-volume backup and archiving requirements. 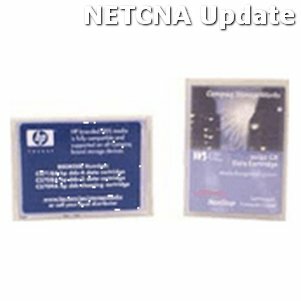 These 40GB (compressed) capacity easy-to-handle compact cartridges provide cost efficient backup and long term archiving for years. What's the cost if your data disappears? When you can't afford to lose the data that drives your business store it on Compaq's media.Extensively tested Compaq media delivers quality compatibility and data integrity today - and for years to come. Compaq protects your business data against corruption or loss with the most exhaustive testing and debugging in the industry. Compact and reliable with superior cost-performance. DDS (4mm) are the ideal solution to high-volume backup and archiving requirements. These 40GB (compressed) capacity easy-to-handle compact cartridges provide cost efficient backup and long term archiving for years. What's the cost if your data disappears? When you can't afford to lose the data that drives your business store it on Compaq's media.